builders give an engine away next year. ha! (We will) Good for you eh? Um, what IS the advantage here? 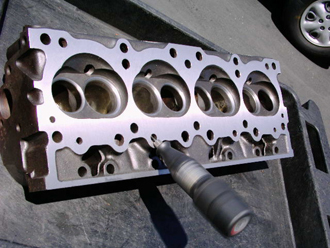 You have to spend $2500 for these heads complete, and they look like this? Eeek. As the late night TV commercial says, "But wait!" - You want them to function as well as mine so you throw another $1000 for porting. Again I ask - What IS the advantage here? 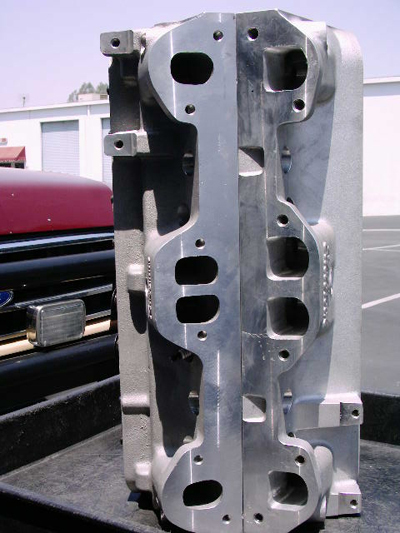 These heads were just tested at the biggest well known So.Cal. engine test facility and on their SuperFlow 600 and they peaked flowed at 220 cfm on the intake. On my more accurate FlowData bench they peaked at 196 cfm. I call my FlowData bench the "Polygraph machine." But if you want aluminum heads and want to use the factory RAIII cast iron exhaust manifolds - these are the heads to use. But for max street OR strip power you can see who's heads you'll need. My heads are STILL only $3200 - ported - including custom valve angle and seat work - correct springs for your cam - ready to smoke anyone. Roller cam springs add $260. Bronze guides for 7000 rpm. 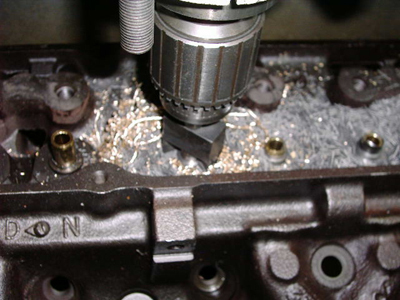 Unlike all aftermarket Pontiac heads we've seen- all of ours come to you completely deburred. raised metal that can wash thru with the oil. 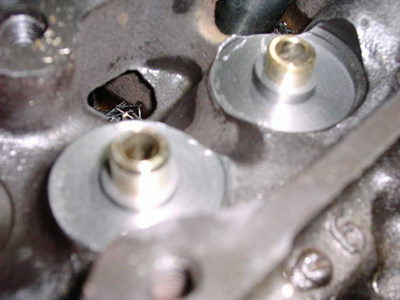 Kills the bearings and cylinder walls. Spring seats have been cut for 1.750 installed height dimension. Again, All edges are deburred. Use your finger and feel around everything. 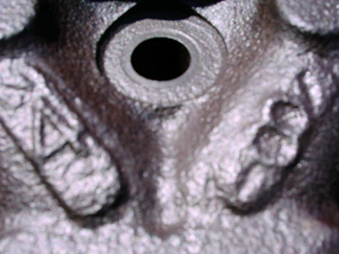 combustion chamber, big valve, screw-in stud Pontiac head ever made. Know your casting numbers? This is a test. 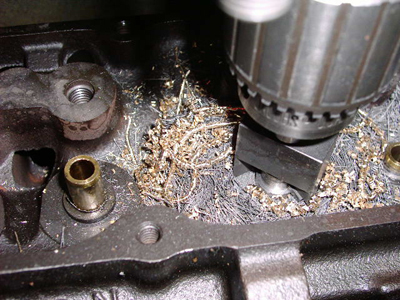 this engine won't have a problem accelerating rapidly! Engine winner Big Tiki Steve Jung install the 400" in his 5400 lb. '72 Catalina and has recorded a best of 12.02 so far. Nice! See more under Race Results.